I honestly don’t know many artists who don’t suffer from some form of depression, myself included. I have often wondered if there is a connection between mental illness and creativity. And I mean that seriously. Is it that part of insanity that makes us bold enough to publicly bear our souls? Is it insanity that keeps us passionately pushing our art forward even when it feels sometimes like every door closes, or worse, the wrong doors open? I think what I find both fascinating and interesting throughout my life is the disbelief from others that I suffer. “You are SO positive!! You’re just having a bad day” has been a constant and common response. Well yes, at the core of my soul/personality, whatever you decide makes up a human, I AM a positive person. Yes, sometimes a bad day can instigate depression. The thing is, there is a difference between having the blues, feeling down, and full blown depression. The blues – I can manage that. Depression is almost indescribable to someone who has never suffered with it. There are levels that range from a low-grade haze that filters everything I see and do, to a full blown episode where I find myself literally non-functional. It is almost like when you try to walk, or think, there are weights holding your feet to ground, and a persistent sadness that makes you feel tired, and uninspired and worthless. All this while you try with every ounce of strength you have to hide it from the world. I consider myself one of the lucky ones. I battled severe depression throughout different points of my life and found salvation when I went into family therapy. I “thought” I was going to support my family, I wound up realizing that I needed help. I had played the role of the good daughter for most of my life. I used to joke that I “raised my parents.” I was the rock, and God forbid, I every falter, or worse, ask for help. Thankfully, the therapist our family went to was too smart to dismiss my act. She suggested we each come in for a few solo sessions. Mine resulted in a fantastic journey of self-realization and healing. We did discuss medication. I was certainly a classic candidate. I was very opposed to it after hearing stories of artists who never created again, and women who lost their ability to have orgasms. That was an unacceptable outcome for me. I was also an admitted control freak. I needed to be the one directing my path. Medication was not an option. I had already decided for better or for worse. My therapist and I devised an extremely strict regimen of exercise and diet. She warned me, if I wasn’t diligent, I would get myself in trouble. The routine commanded a minimum of 45 minutes a day of high impact cardio to raise my endorphins and eliminating pretty much all sugar from my diet. I was not happy. I’m not a sugar freak per se, although I do have a love affair with ice cream. In truth, I really was opposed to having to live by rules. That may sound really stupid, but as an artist, I love that my life is drawn outside of traditional boxes. Banning things from my life was a perceived limitation. I don’t like limitations. I agreed to give it a try. It took months and I was getting very, very discouraged. I did however notice that my suicide planning had lessoned. Ok. I didn’t mean to throw something as critical as suicide in so nonchalantly, but honestly, it was so scary for me, that I still have trouble acknowledging it. Yes. I not only considered suicide, I planned it out. On angrier days: how I could pull it off and cause the most hurt to the people who had wronged me. On depths of despair days: how I could disappear myself without anyone noticing. During an uber manic-organizational phase: how I could do it and make sure that everything was neat and tidy so my family wouldn’t have to unravel a mess after my demise. There was a point when suicide was an understood and accepted end to my pain. And then, I forgot to plan. I forgot to anticipate the moment when I would know it was time. It was working, and yet, I still felt like me. I also still experienced bad days, but they were different. They were still exhausting and mind-scattering, but I knew that they would pass. I believed I could function, and I did. I talked about it in therapy. We kept really careful tabs on me and eventually after about two years, we decided I was “baked” and ready to see if I could manage without weekly sessions. So here I am today. Decades later, I am married to my best friend who is fully aware and sadly has had to experience some really bad episodes. I honestly believe that I wouldn’t be here if it wasn’t for his loyalty and belief in me. His strength has been the one thing that reminds me that I do have a reason to get out of bed every morning, even on the mornings when I am convinced that it is impossible to get out of bed. I also know many people who have had fantastic results from taking medication. Believe me, I wonder if it would just be a whole lot easier if I took them and if I would lose less time to the monster. For now, I am thankful that I found a way to manage my depression in a way that works for me and my art. I could change my mind at any time-I allow myself that possibility. I also allow myself to push my own boundaries at times, and flirt with danger. It is all part of who I am, and I even with the depression, I have finally come to a place in my life where I am very happy with the person I have become. 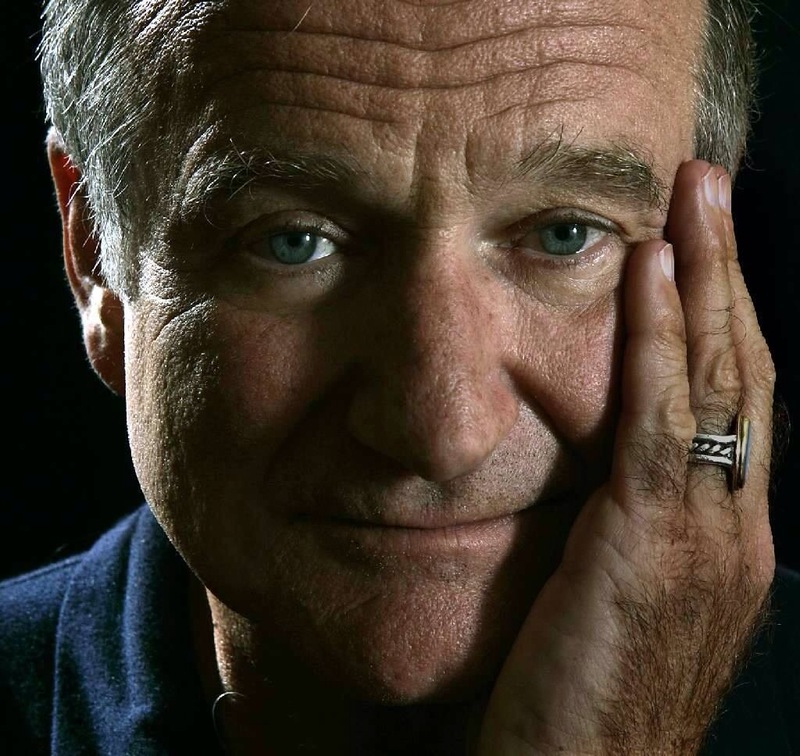 Hearing the news about Robin Williams sent me into a funk-NOT a depression. If nothing else, I hope that the reader comes away understanding that there is a monumental difference. I am sad. That is a natural emotion. I did not know Robin Williams. I loved his movies. I loved his energy, and I loved the kindness in his eyes. My husband and I met him very briefly at a movie premier years ago. We watched as this one guy literally monopolized him with questions he had written on a pad. He was not a reporter, he was just a guy obsessed with Robin and basically cornered the poor man. Rather than being impatient, or rude, or dismissive, Mr. Williams patiently stood there and answered each question with thoughtfulness and kindness. He winked at us, because he could see us blocked by the monopolizer, and we just wanted to say hi and thank you to him. He had a remarkable twinkle in his eyes, and an aura that I can only describe as peaceful patience. He was just taking it all in. He was special. It’s three days after we all learned of Robin Williams taking his own life. I am still reading about it all over the web and hearing about him on TV and radio. He was one of those actors who brought us to tears and laughter so seemingly easily. We all imagined that we would be buddies if he got to know us. Of course, he was a man. A man who suffered with addiction and depression. I wish he could have gotten the help he needed. I know he believed that nothing could help. That’s what depression does. It colors your perspective to a point where you only believe the depression. The chemical soup that is raging in your brain telling you that there is nothing that will ever make you feel better. I feel better and I am thankful. I am thankful for my life. I am thankful that if nothing else the loss of our dear Robin Williams has encouraged many of us to step forward and admit we have suffered too. That is ok to be real about it. That it is an ugly disease. That we can be a little kinder to one another. That maybe, just maybe we can allow for the possibility that if weren’t so afraid of the stigma, that maybe one more person could escape the debilitation of it. That one less family will suffer the tremendous loss and frustration trying to understand WHY. Take a deep breath. Take in the beautiful blue sky. Take a deep breath. Take a step forward. Live. If you need help, please, please, please ask for it. This is my current brain pattern. I wish you all a better day today. Robin Williams, I personally thank you for the beautiful art you gave to our planet and for inspiring me on so many occasions. I truly hope that you rest in peace and feel all the love.